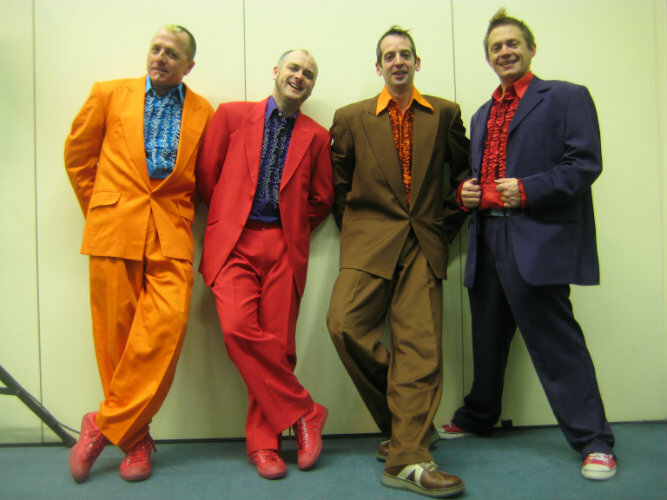 As well as performing as a solo performer I am proud to perform with 2 other marvellous entertainers within double acts, triple act and with others as a quadridium and more of Circus Malarky! 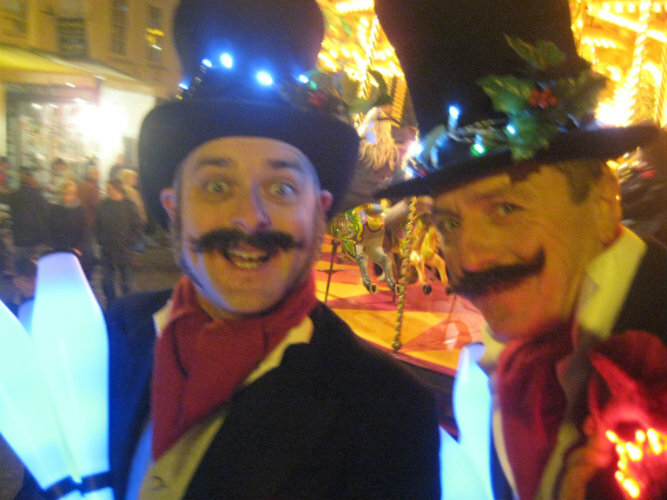 Phillippe Philloppe - Comedy Jugglers, Festive Gents, Victorian Gents, Victorian Coppers, The 2 Silly Frenchmen, Ship Shape juggling Sailors and Stilt Cyclists extraordinaire. The Dapper Chaps - Stlit Cyclists, Penny Farthing Chaps, The Racing Chaps, The Dapper Chefs, The Chequered Chaps, Dapper Tweed, The Chipper Coppers and The Rat Pack chaps. 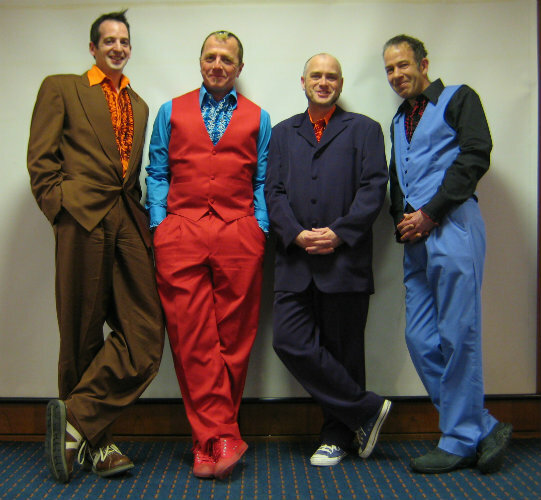 We are Three - The Tux jugglers three, Ello Ello Ello, The tall bike Trio, The 3 Counties Morris aka Twiddly Diddle Dee and we are always coming up with new stuff! 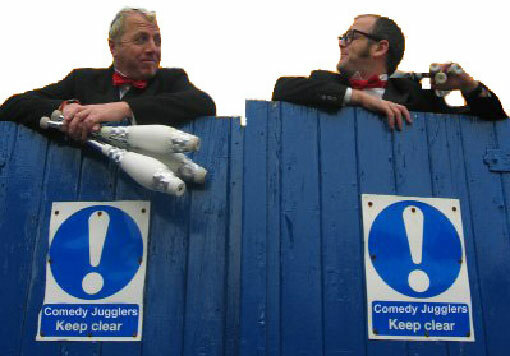 4 or More - A veritable quadridium of coppers, Gents and Jugglers, Corporate and festival circus instructors and more.. 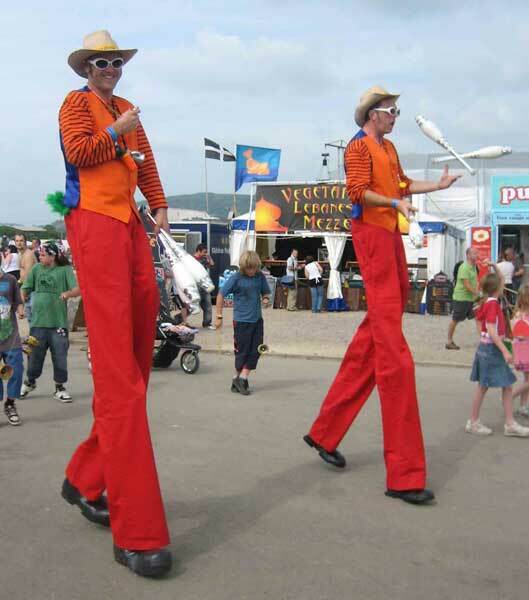 In 1998 Mark Russell and myself formed the double act Phillippe-Philloppe, combining our extensive skills and humour to create comedy juggling shows with dynamic club passing, duo stilt walkers and the first UK stilt bike duo with custom built 6 foot bicycles. 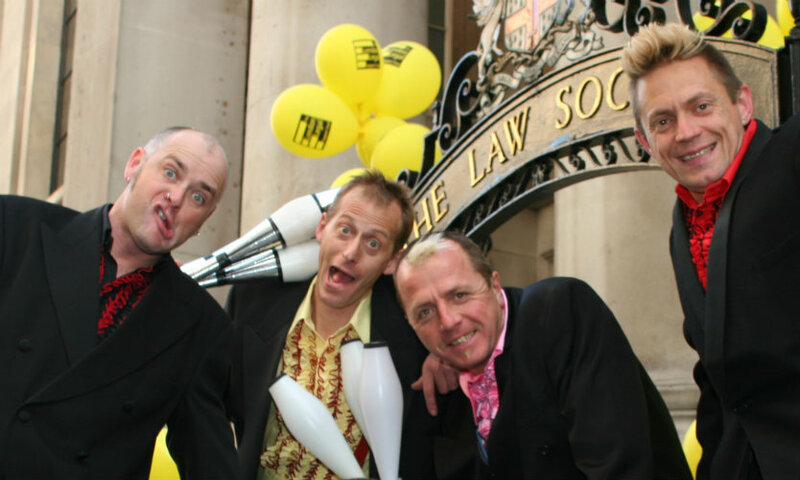 We perform primarily with up to 10 balls, 7 clubs, 3 diabolos, fire and glow equipment plus numerous other props including super tall Unicycle, Free standing ladder, Rolla bolla and crate stack. 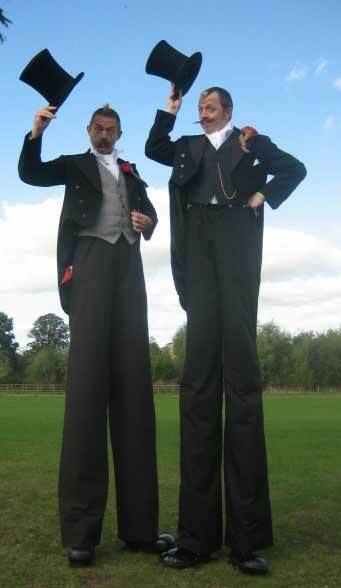 We have a large range of coordinated costumes including Victorian Policemen, Victorian juggling gentlemen, Sailors, Clowns and many more. 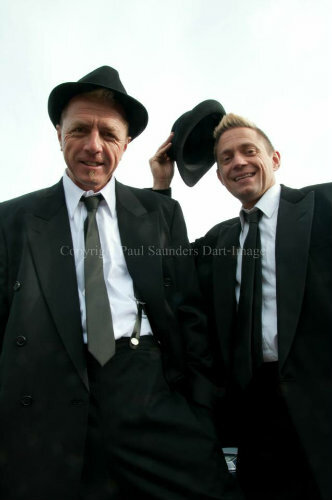 A fine fellow by the name of Jem Maynard Watts had been a ‘3rd man' and on many occasions in place of Mark or myself and in late 2006 Jem and I formed the Double Act, The Dapper Chaps, A comedy character based act featuring Reginald ‘tic toc’ Monty Montgomery IV and Quentin ‘bang on’ Bladderhasit Caruthers III splendidly attired English Gentlemen and outrageous Old English racing drivers plus various other comedy characters! 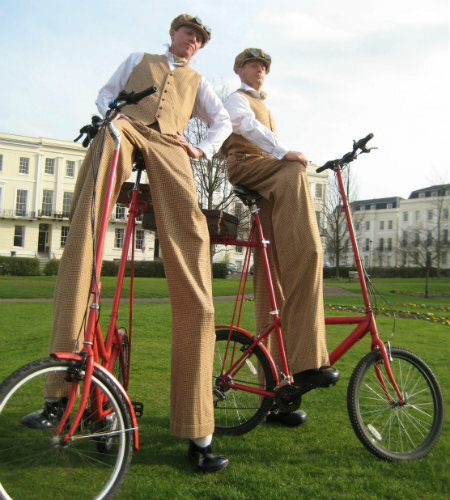 As with Phillippe-Philloppe we use stilt bicycles and Penny Farthing bicycles. 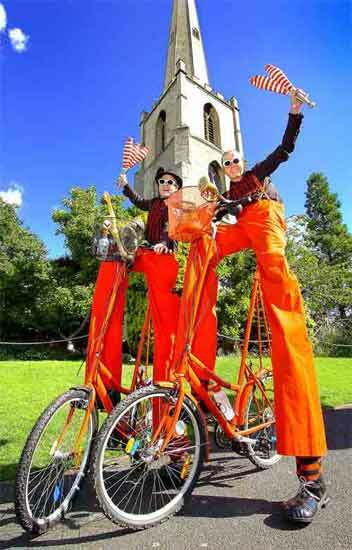 The interchangeable nature and versatility of the 3 of us makes for 2 extremely dynamic, interactive and entertaining acts and an amazing stilt cycling Triple act! we have performed at F1 Bahrain from 2006 to 2016 with a different costume each time designed by myself. Twiddly Diddly Dee was created in 2010 by the three of us for a big folk festival and has since performed at several very different events from shopping centres to festivals, 2, 3, 4 & even 5 stilt walking 'authentic' Morris Men with sticks, hankies, tankards, jaunty moves & jolly friendly thoroughly English banter! 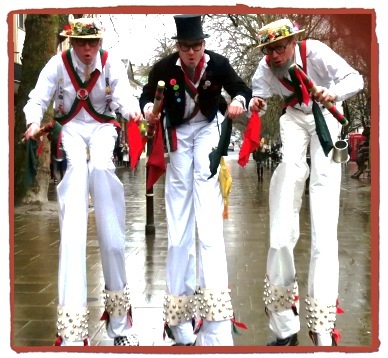 We have performed this act 3 times at the fabulous Cheltenham Folk Festival! 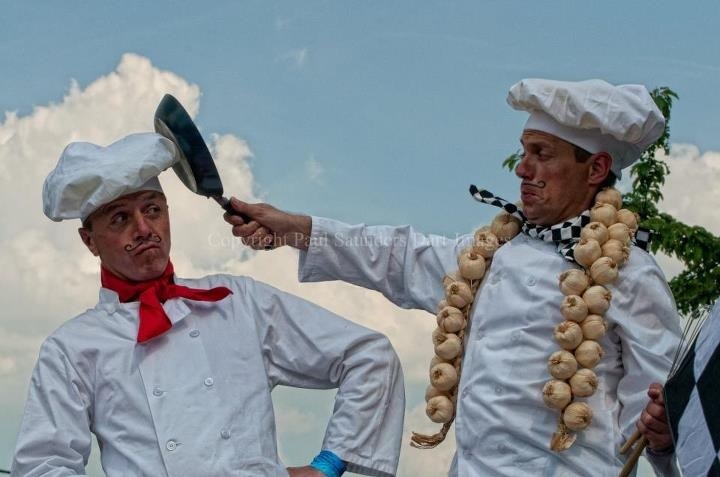 We can also team up and bring in other professionals where the need arises for larger events, corporate circus workshops and team building sessions.